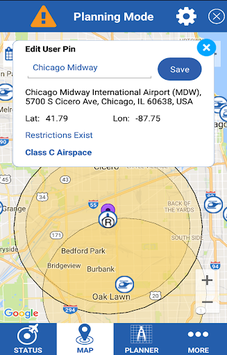 B4UFLY provides UAS/drone operators awareness to determine if it is safe to fly. 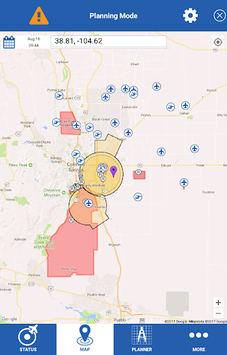 The B4UFLY app provides model aircraft users with situational awareness and considers the user’s current or planned location in relation to operational restrictions to derive a specific status indicator. 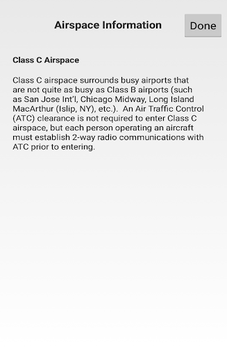 The color and shape coded status indicators inform the user if model aircraft operation is prohibited, requires the user to take certain actions, or if there are no FAA operating restrictions other than flying safely. All model aircraft operations must always yield the right-of-way to manned aircraft.